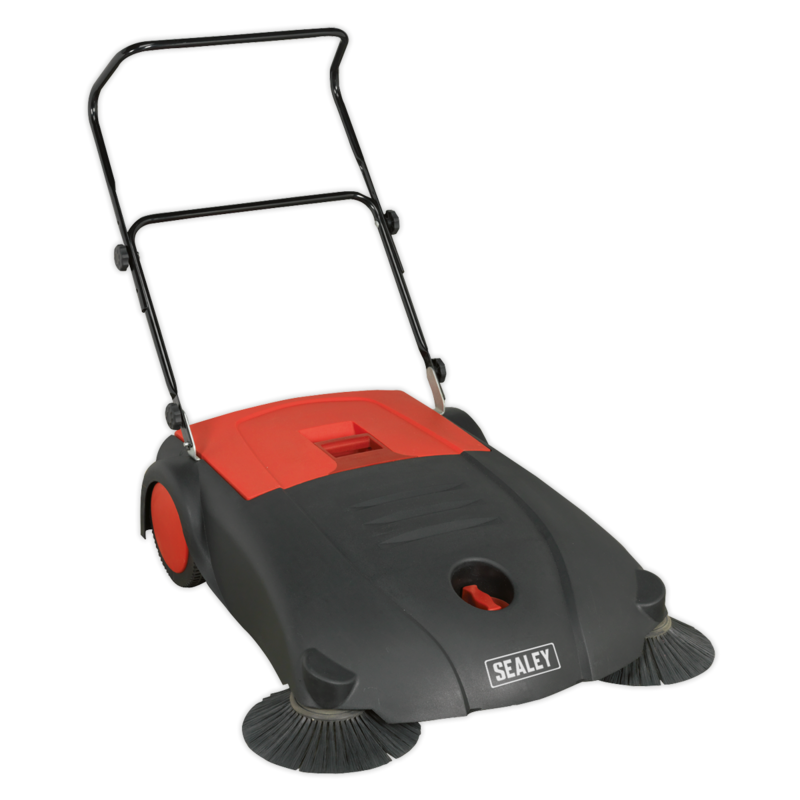 Suitable for maintaining any hard floor and ideal for removing dirt, dust and debris from large surface areas. 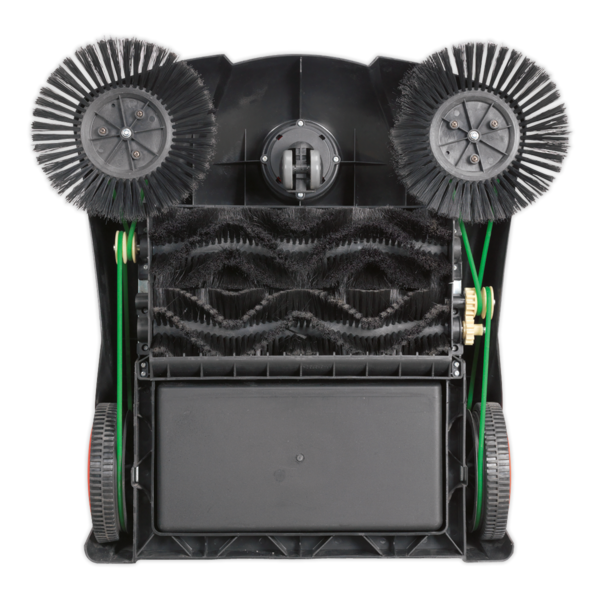 Features four-brush system with two side brushes and two further brushes set underneath the unit to easily lift debris into the hopper. 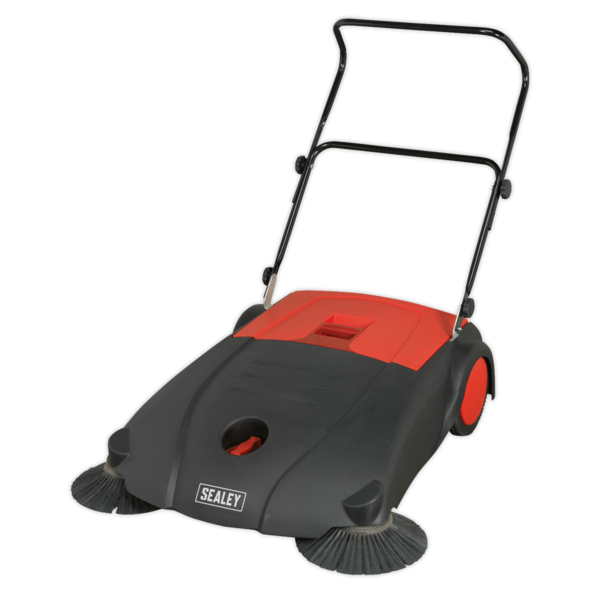 Fitted with tubular handle and adjustable castor wheel that raises the sweeper 20mm enabling larger pieces of debris to be swept up.